THE Office of the Ombudsman-Visayas found basis to proceed with the investigation of criminal and administrative charges filed by Cebu City Mayor Tomas Osmeña against Councilor Pastor Alcover Jr. for allegedly maligning the former’s reputation. Alcover said his lawyers are already working on his counter-affidavit, and urged the anti-graft office to be fair in dealing with charges filed before the office. 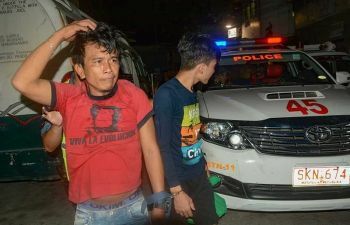 While this developed, the Office of the Ombudsman-Visayas also dismissed the charges filed by 40 barangay captains against Cebu City Councilor Margarita “Margot” Osmeña over the latter’s order to return the City-issued vehicles in 2016. In an order signed by Jane Aguilar, director for Preliminary Investigation, Administrative Adjudication and Prosecution Bureau, the Ombudsman ordered Alcover to submit his counter-affidavit and other controverting evidence within 10 days. “Finding enough basis to proceed with the criminal and administrative investigation of these cases, aforenamed respondent is hereby ordered to file his counter-affidavit and other controverting evidence to the said complaint, copy of which is hereto attached, strictly within 10 days from receipt thereof,” read a portion of the order. Last January, Osmeña lodged a complaint for violation of the Anti-Cybercrime Law against Alcover. Osmeña also filed a separate complaint for grave misconduct and violation of the Conduct and Ethical Standards for Public Officials and Employees. He asked the court to preventively suspend Alcover from holding public office. In his complaint, Osmeña alleged that Alcover maligned his reputation by attributing a statement to him regarding a bullying incident involving a student from Ateneo de Manila Junior High School. Lawyer Sunshine Enriquez of SALiGAL Law, who serves as counsel for Osmeña, said they are confident a criminal charge will be filed against Alcover. “He must now face these charges before the Ombudsman. 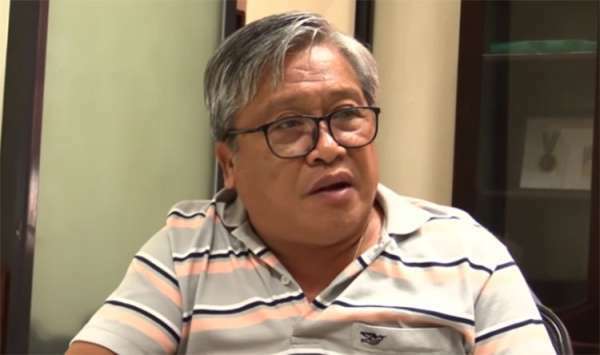 We are confident that the Ombudsman will eventually file the necessary criminal charge for cyber libel against Councilor Alcover,” Enriquez told SunStar Cebu. In a separate interview, Alcover said Osmeña cannot intimidate him by filing charges. “I am not afraid of these cases. I am also requesting the Ombudsman to be fair in dealing with all the case filed before the office because I filed four cases against Osmeña ahead of that complaint, but until now, there is no development yet,” Alcover said. Meanwhile, in a 13-page joint resolution, the anti-graft office dismissed the charges for malicious prosecution, oppression and conduct prejudicial to the best interest of justice, among others, that the barangay captains filed against Margot for lack of probable cause and substantial evidence. The case filed by the barangay captains is an offshoot of the Aug. 9, 2017 joint resolution of the Ombudsman dismissing the criminal and administrative complaints filed by Margot against them. On March 17, 2016, Margot, who was acting mayor that time. issued a memorandum ordering all barangay captains and officials to return City-issued vehicles excluding those used for emergency purposes for inventory. For the alleged refusal of the barangay captains to return the vehicles on time, Margot filed criminal and administrative cases against them last June 2, 2016. In the joint resolution, the Ombudsman said there was no probable cause to indict Margot for malicious prosecution since her earlier complaint only stated factual matters. “There is nothing mischievous about respondent’s recourse to file a case. It would have been malicious, had respondent did not stoop to that level. Respondent simply exercised the remedies available to her office against those who failed to promptly comply with her directives,” read a portion of the joint resolution. City lawyer Francis Ocampo said the dismissal of the case was already expected, as there was really no basis for it.